Martin Luther King Jr. (1929-1968) was a Baptist minister and social activist who played a key role in the American civil rights movement from the mid-1950s until his assassination in 1968. 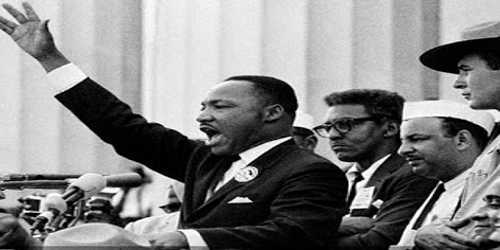 Inspired by advocates of nonviolence such as Mahatma Gandhi, King sought equality for African Americans, the economically disadvantaged and victims of injustice through peaceful protest. In 1953, at the age of 26, King became pastor at the Dexter Avenue Baptist Church in Montgomery Alabama. His start as a Civil Rights leader came during the Montgomery Bus Boycott. He was the driving force behind watershed events such as the Montgomery Bus Boycott and the March on Washington, which helped bring about such landmark legislation as the Civil Rights Act of 1964 and the Voting Rights Act of 1965. King was awarded the Nobel Peace Prize in 1964 and is remembered each year on Martin Luther King Jr. Day, a U.S. federal holiday since 1986. Emphasize and encourage the importance of non-violent protest and resistance. 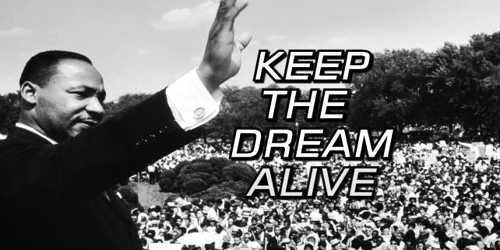 He went on to deliver numerous powerful speeches promoting peace and desegregation. Before he was assassinated in 1968, he won the Nobel Peace Prize. Martin Luther King had a major impact on civil rights. King played a part in many well-known civil rights movements in the 1950s and 1960s. In 1955, he became heavily involved in the Montgomery, Alabama boycott of the city buses, which was spurred by the bus company’s insistence that African Americans only ride in the back seats. King’s support drew much attention to the cause and rallied many supporters even outside of the Montgomery area, which put pressure on bus companies all over the South to examine their own rules, and eventually, to change them. Because of his commitment to peace, non-violence and equality for all, King’s protests on behalf of civil rights were able to make genuine headway in American society and allowed Martin Luther King to contribute a great deal to the success of the civil rights movement. 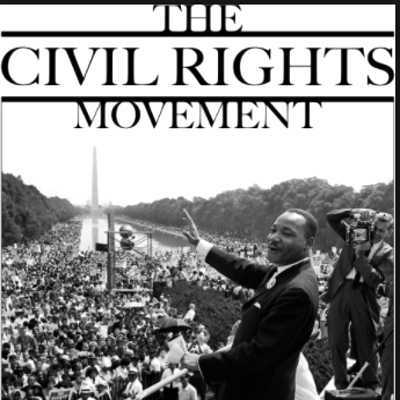 Even as his oppressors exercised force and brutality, King’s insistence on avoiding violence, which he also taught his followers to practice, was a major factor in the respect and acknowledgment given to the civil rights movement during a time of unrest and unease in the country. His genuine desire for the country to come together was ultimately recognized as a great contribution to America; his untimely death was a loss to everyone and started an era of great potential for the nation. One of the largest political rallies for human rights in the United States ever. Between 200,000 to 300,000 people took part. It was a huge factor in the passing of the Civil Rights Act of 1964 which outlawed discrimination against racial, ethnic, national and religious minorities and women. In a powerful speech, Martin Luther King Jr. stated eloquently that he desired a world were Black’s and whites to coexist equally. King was assassinated in 1968. With his death, the country lost not only a great leader, but a prominent person who had carried the power to change society for the better. The loss of King was a loss for people of all races. His birthday is now observed as a national holiday on the third Monday in January.